Case Study Restaurant Customer Surveys. By partnering with BARE, this national restaurant company was able to gather valuable information regarding exactly what its customers found important, and then channeled that feedback into the quantitative measurement of service and brand standards. Read the Case Study below, or download the PDF version to the right. A national restaurant company, with multiple brands, was receiving mixed information from their direct customer satisfaction surveys. Overall, satisfaction had declined, but the trend lines were not closely matching the mystery shop program results. The “Voice of Customer” (VOC) experience index and the mystery customer results showed serious gaps in Key Performance Indicators that included timing, service, and food quality. After analyzing the client’s current program, BARE designed a 360° method of handling direct customer feedback data results and mystery shop questionnaire design. 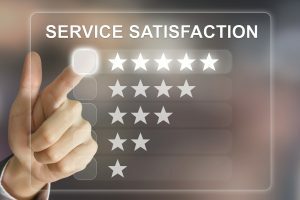 First, BARE configured the customer feedback voice recordings and web survey to allow for deeper drill down into any issues; including a recorded customer comment area, direct notification to management of customer issue, and validation of customer through unique receipt number. BARE set up a specific call team to contact those customers indicating they would like to speak further regarding their experience. This allowed BARE interviewers to uncover the “real” issues and help identify what truly mattered to customers. This information was then used to design a better mystery shop program around the specific attributes and behaviors identified as important to customers. Once mystery shops were better aligned, the client could use the results to improve standards and training effectiveness. Every 90 days, a new round of customers would be sampled to ensure the continued match of customer expectations to brand and service standards. By partnering with BARE, this national restaurant company was able to gather valuable information regarding exactly what its customers found important, and then channeled that feedback into the quantitative measurement of service and brand standards. By continuing to use the 360° methodology, the client is now able to focus on what customers expect and how that differs from their experience. Employees are trained and evaluated on standards that drive customer satisfaction. The overall customer perception of employee professionalism, service levels, and food quality continues to show improvement. BARE helped this client establish a service standards program that created a positive and upbeat atmosphere in the restaurants with a new employee rewards plan based on the VOC and Mystery Shop results. Customer Satisfaction ratings continue to improve across all locations.